Mr. Sunny Ha is a Lecturer in Department of Decision Sciences and Managerial Economics. He also taught in the School of Hotel and Tourism Management. 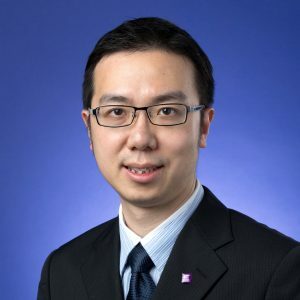 Prior to joining CUHK, he was a Lecturer in the community college of The Hong Kong Polytechnic University, where he also served as an Assistant Programme Leader (Accounting & Finance) for the Division of Business. His expertise lies on teaching of Business Economics and Financial Accounting. His research interest is focused on Hong Kong’s education policies. He also engages in numerous projects with Education Bureau in the relation to the studies of Economics and Humanities for secondary schools. Besides, Mr. Ha is a fellow member of Association of Chartered Certified Accountants (FCCA). Lin-tat Ha (2015), “Is the Associate Degree Education Fairly Valued in Hong Kong?” Conference Proceedings of 2015 International Business & Education Conferences, United Kingdom. Lin-tat Ha (2015), “Analysis on Hong Kong’s Higher Education Policy: The Rise of Community Colleges and Associate Degrees,” Conference Proceedings of 2015 International Business & Education Conferences, United Kingdom.